An elegant smocked bishop style dress w/puffed or angel sleeves. It is desinged to be embellished w/simple hand embroidery, lace insertion and edging at the sleeves & hemline. In addition, a contrast fabric is used below the lace insertion to create a truly unique dress. Suggestions on making the dress "dressy" or "casual". 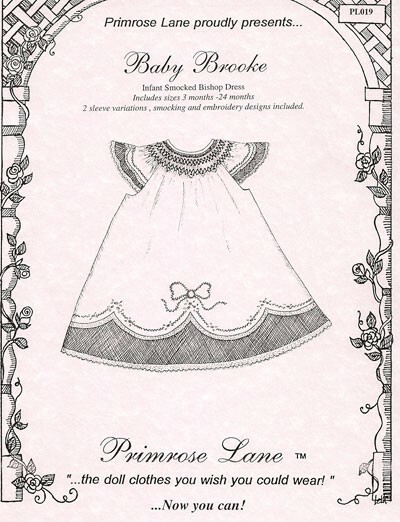 Smocking & embroidery designs included.